Here's a fun and different way to handle questions during a class, presentation or workshop--use question balloons! This is a strategy that can be particularly effective if you're working on a very information-heavy topic where there are likely to be lots of questions. 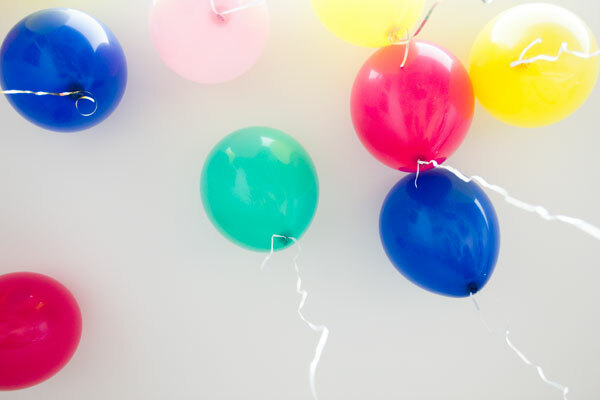 At the start of the class or presentation, give students 2 or 3 helium balloons, along with a marker. Be sure that the balloons have strings or ribbon attached so that you can reach them! As the presentation progresses, students should write their questions on the balloon and then let it float in the air. They should have 1 question per balloon. If the question is answered, then the student pops their balloon. If there are balloons left over at the end of the presentation, then the presenter/instructor should grab them, read the question out loud and then respond to the question. Then, of course, they pop the balloon! Yes, this may be a noisier strategy than usual, but it can also be a way to add some fun to what might otherwise be a more "boring" presentation.